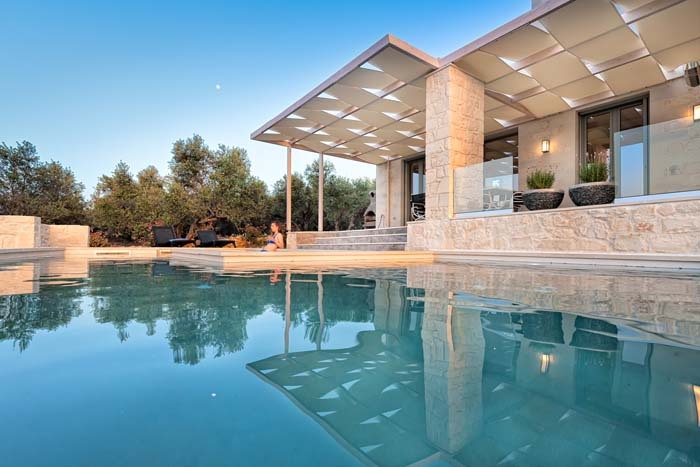 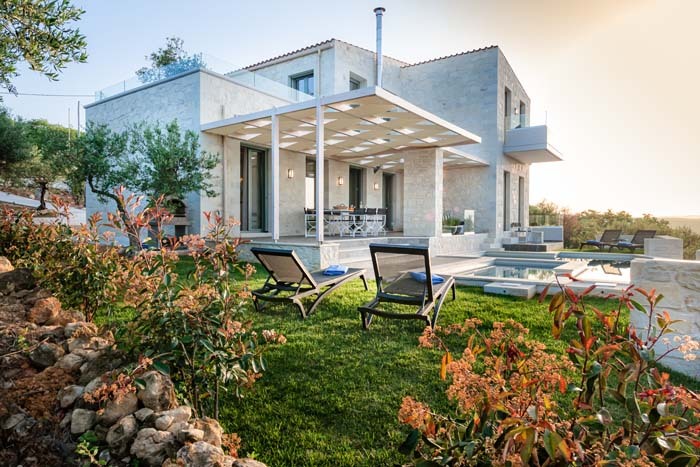 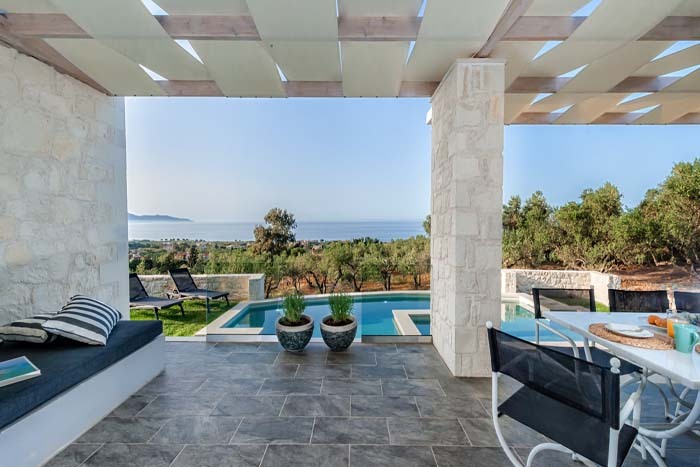 Faidra’s Olive Grove is a brand new luxury villa located in the area of Gerani, a few kilometers outside the town of Chania. 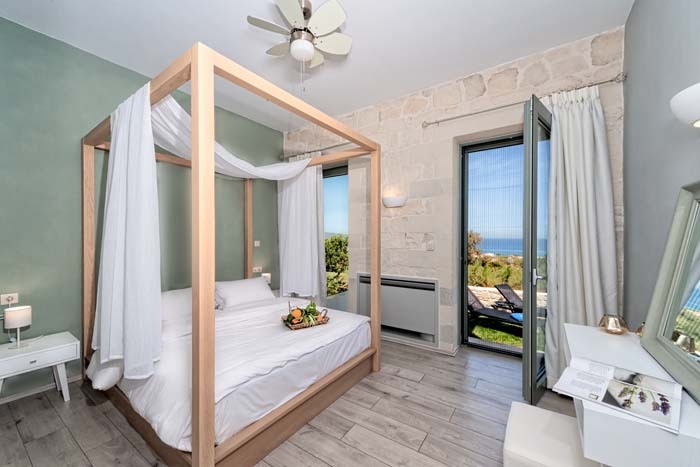 The villa offers three en suite bedrooms, fully equipped living areas, a 45sqm private pool and large gardens with beautiful plants, trees and flowers. 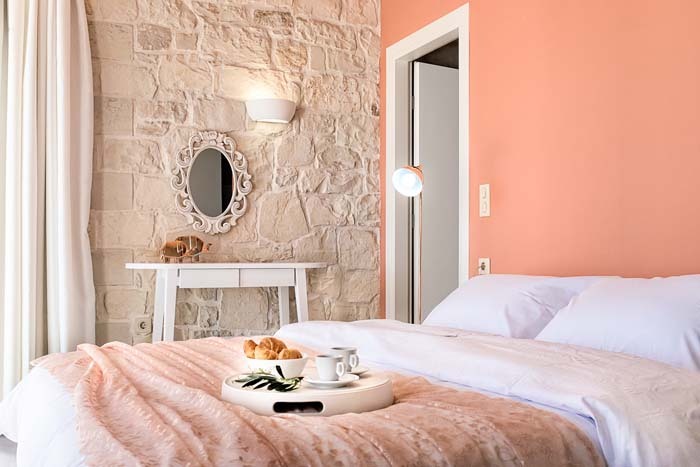 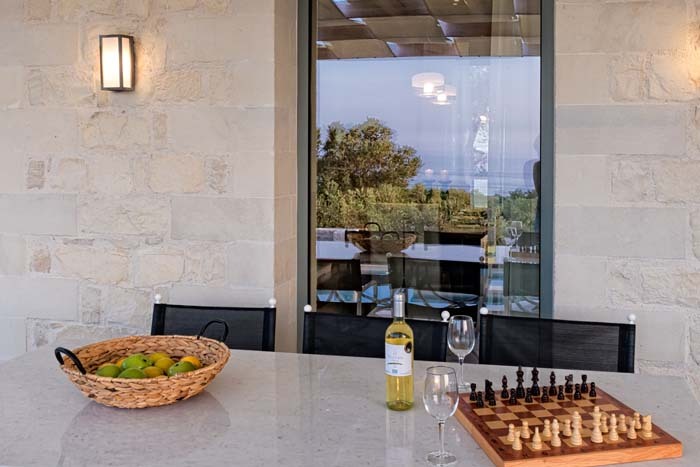 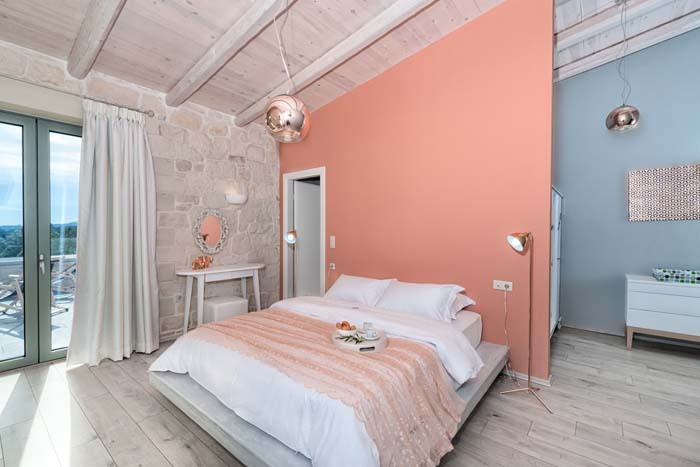 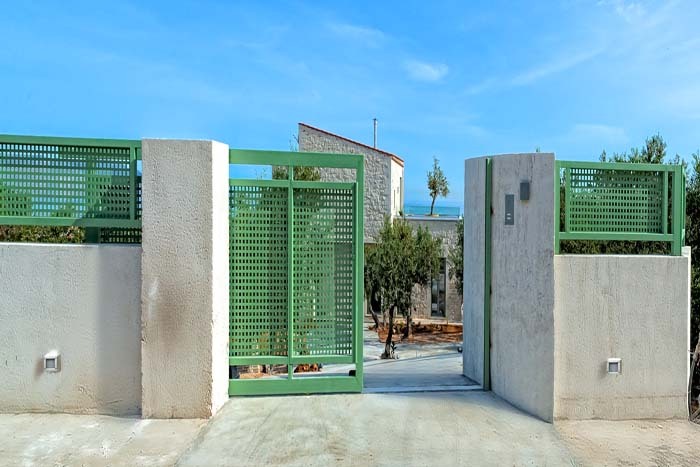 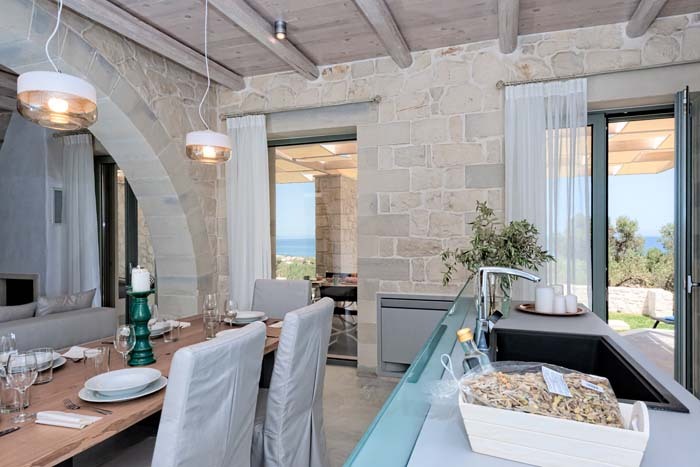 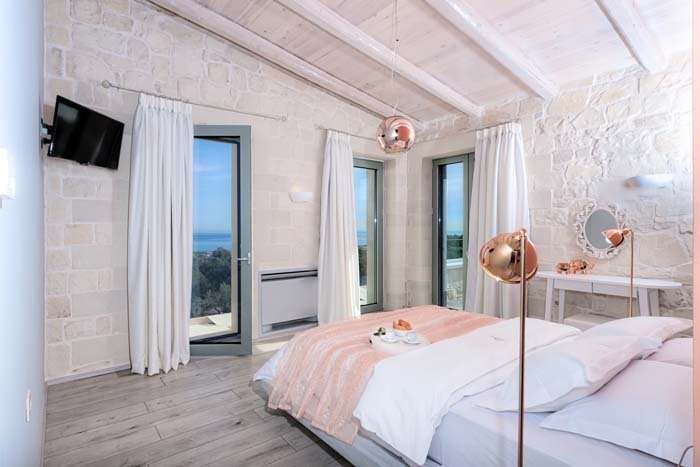 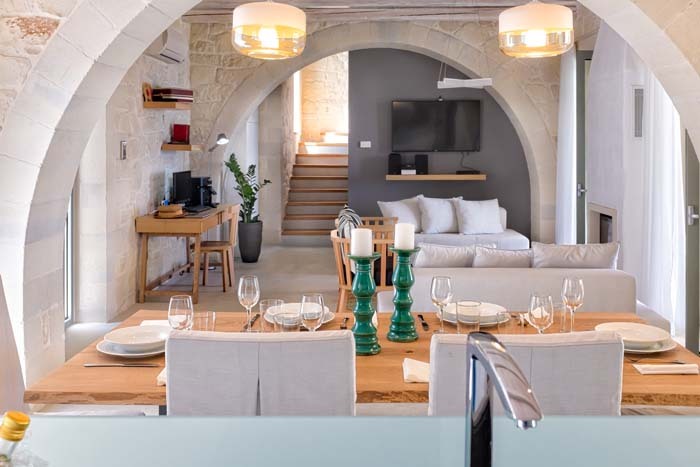 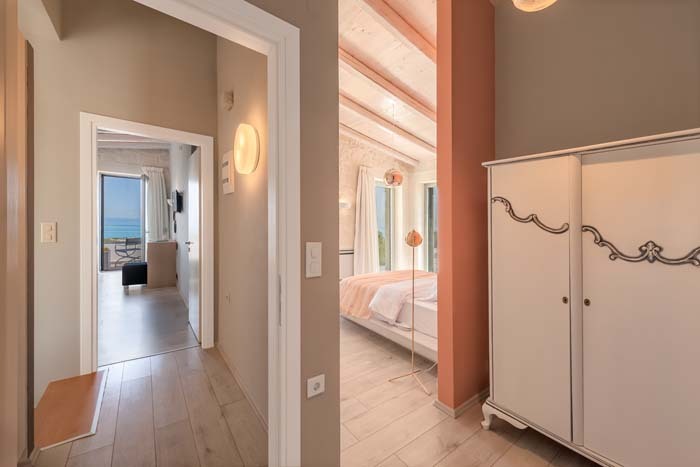 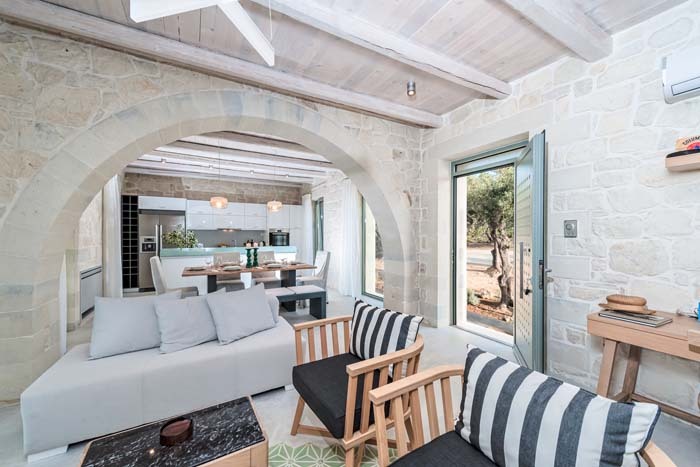 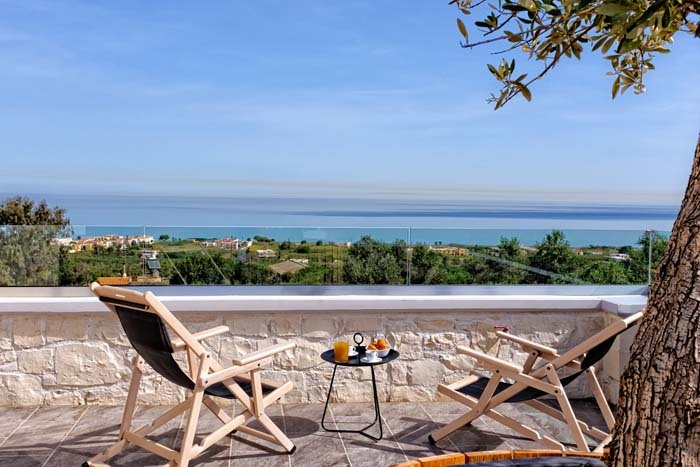 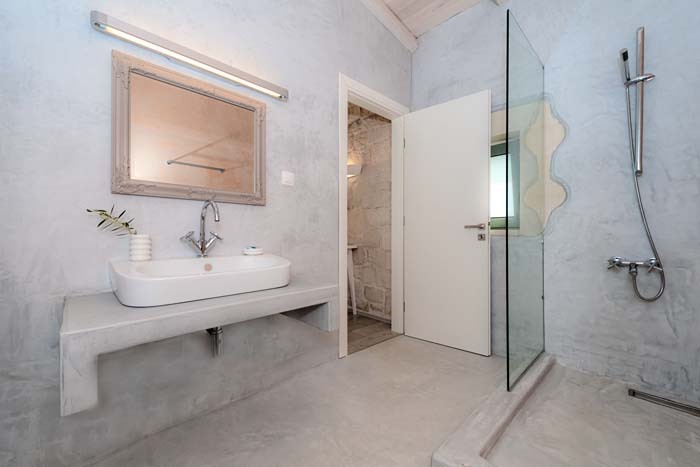 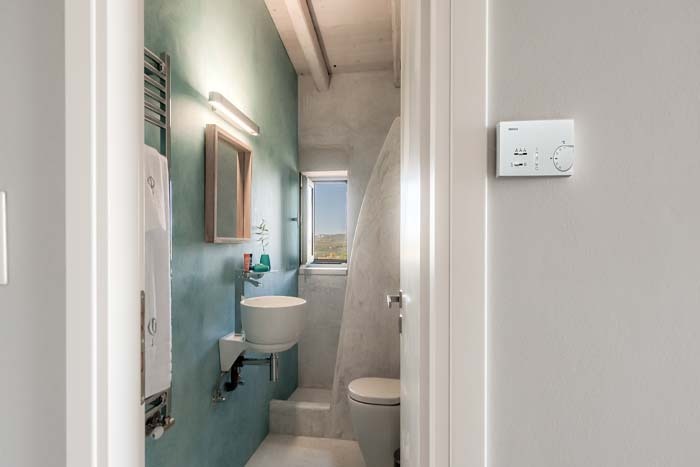 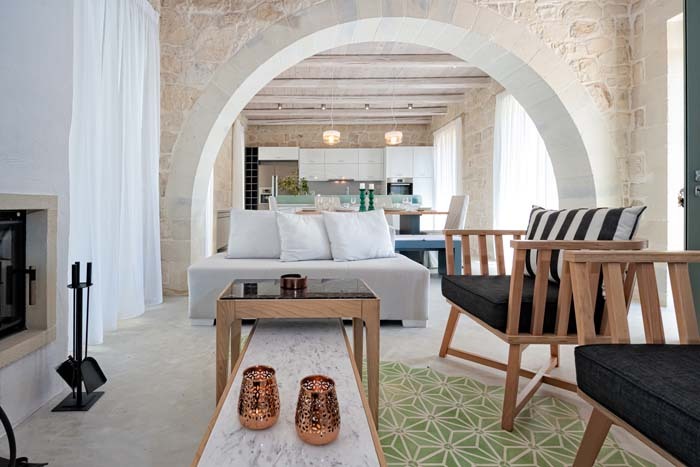 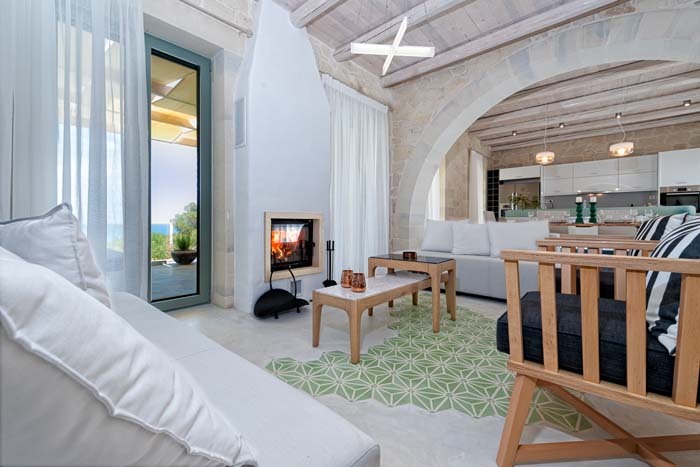 It has 65cm thick stone walls which ensure natural heat and sound proof and cosy, stylishly decorated interior areas which take this amazing villa on an upper quality level. 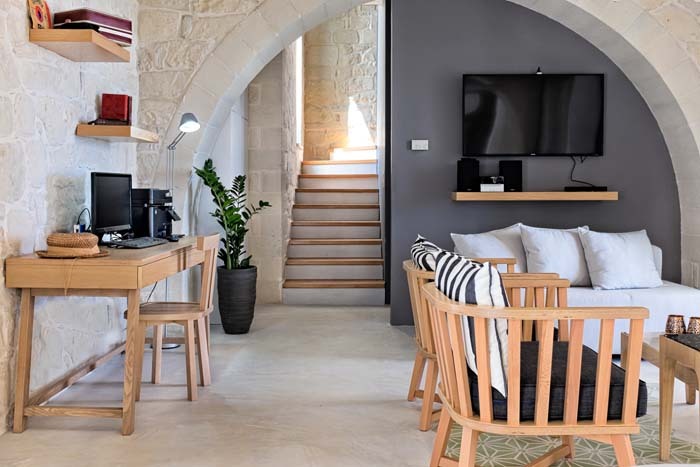 The ground floor which has access to the pool consists of a living room with a fireplace, a fully equipped kitchen with a dining area, an office corner with a pc and a printer and a double bedroom with en suite shower bathroom. 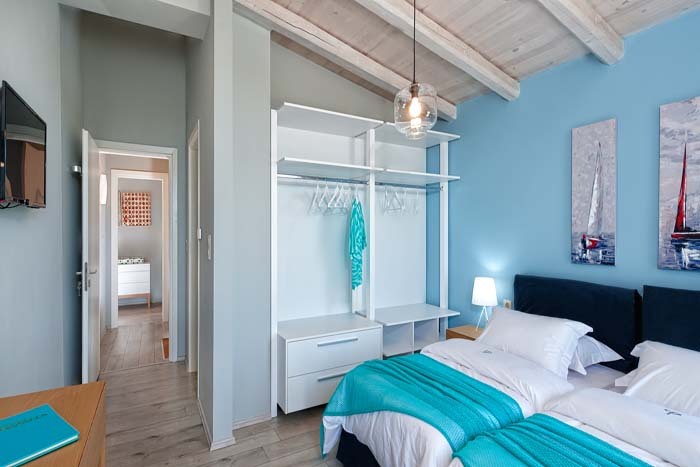 On the upper level there are two more bedrooms, a double and a twin (which converts into a double) each with its own bathroom with a shower. 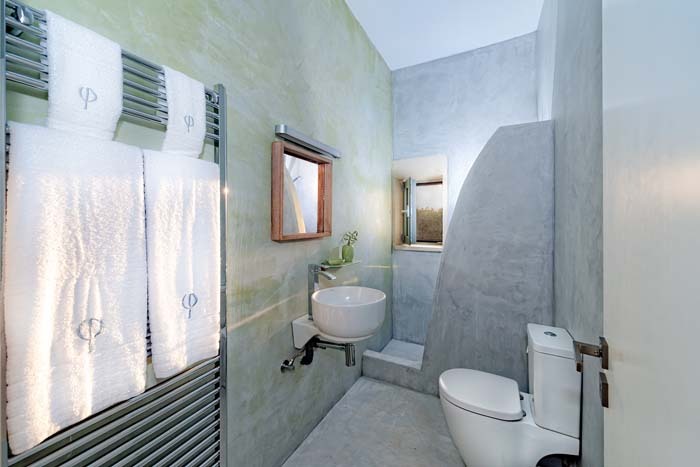 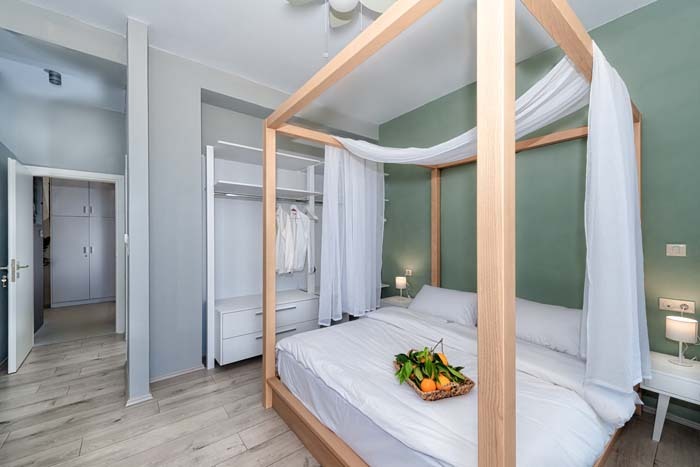 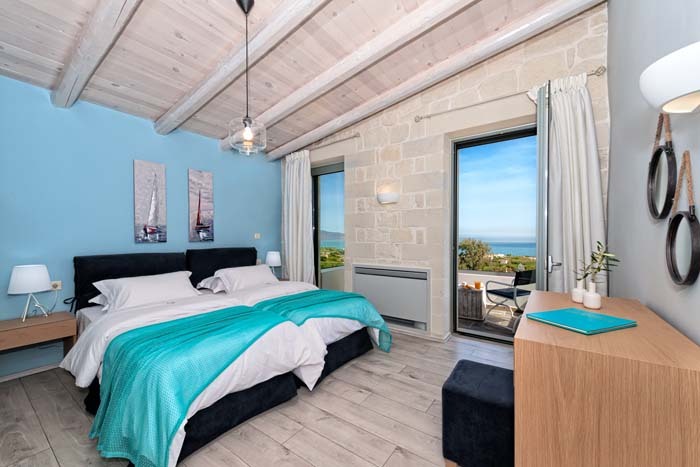 The double bedroom has access to a sun terrace and the twin to a balcony. 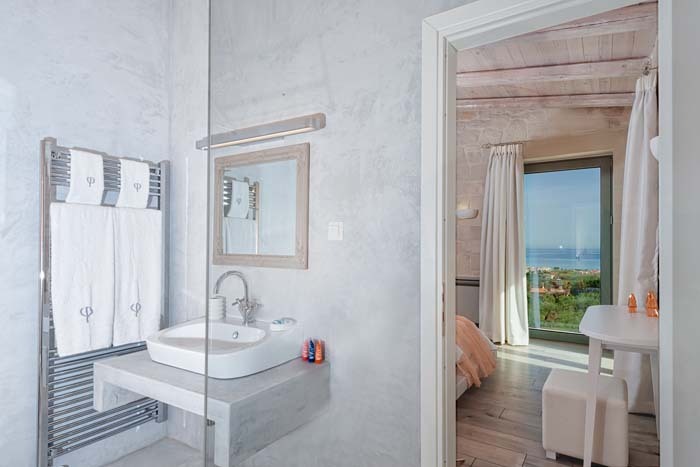 All bedrooms have TVs and offer amazing views of the sea and surroundings. 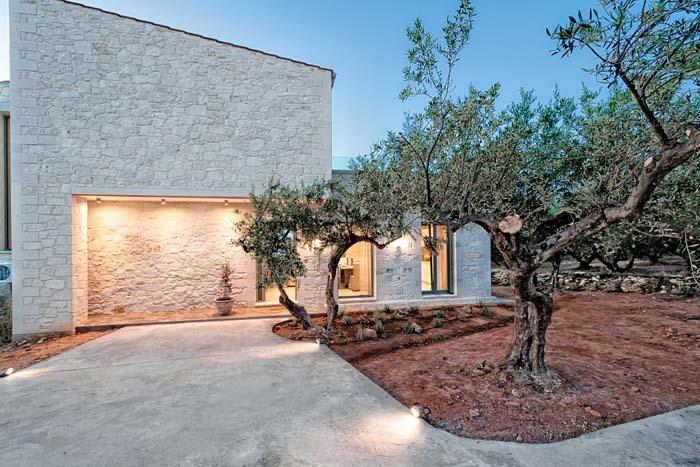 Faidra’s olive grove is located in a beautiful area surrounded by olive groves just 1,5km away from the sea. 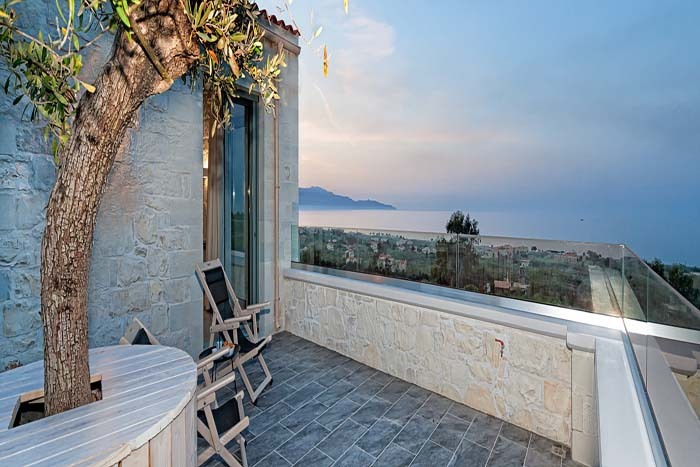 The villa has a 2000sqm garden with local trees, flowers, plants and herbs and which creates a peaceful and idyllic surrounding. 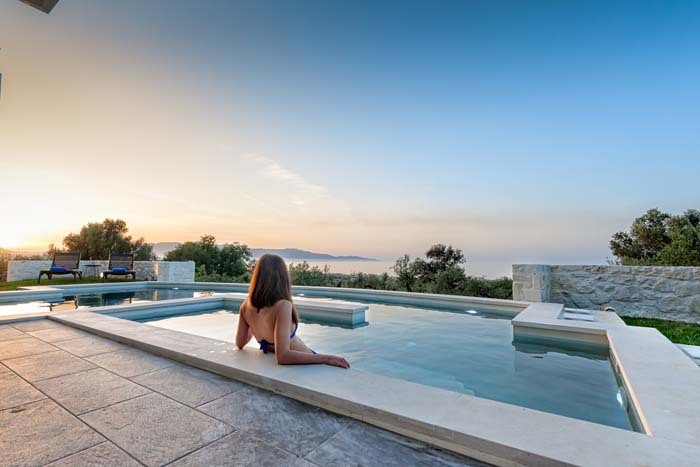 The villa has a 45sqm private pool with a children’s corner while the pool can be heated if requested on an extra charge. 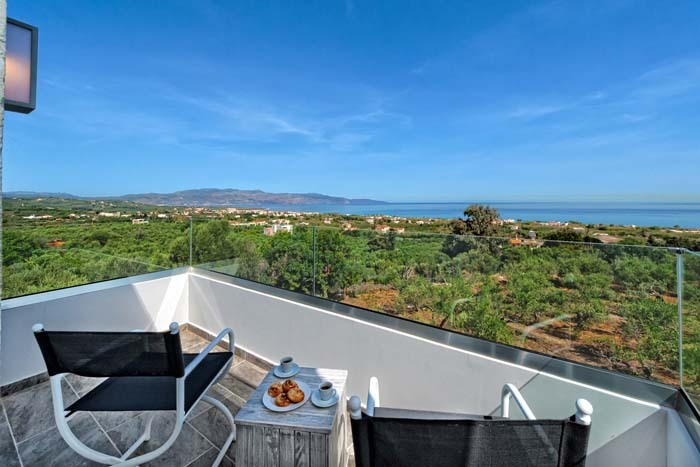 There are comfortable sun loungers to enjoy the sun and shaded, furnished outdoor areas, perfect for a family breakfast or for dining in the evening. 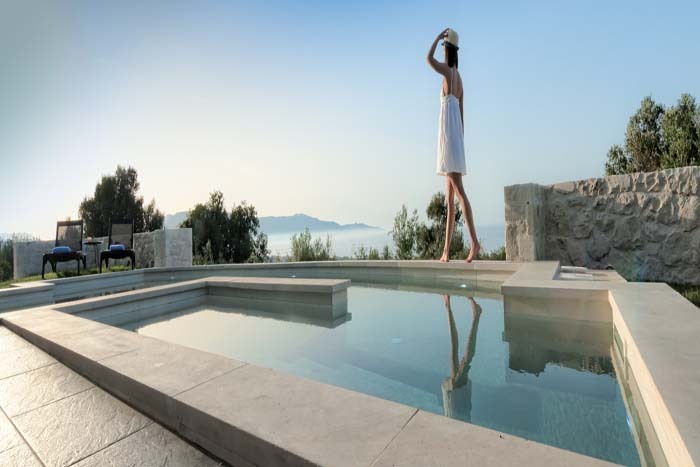 Heated pool extra charge 250,00 € per week upon request. 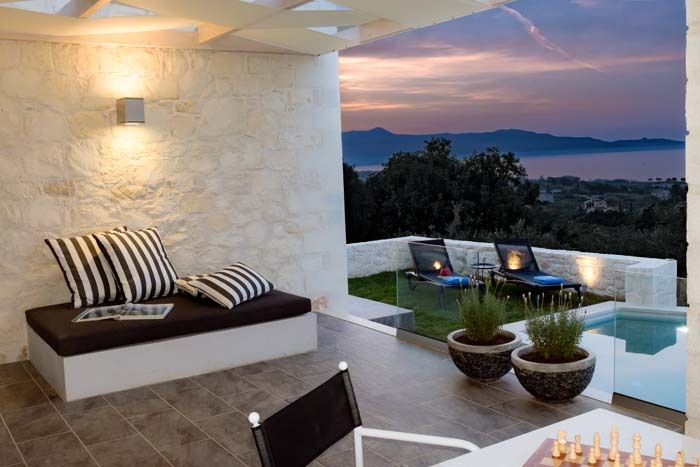 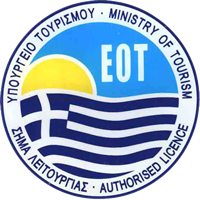 Special offer 200,00 euro per night for staying between 10.04 - 28.04.